Making your own almond milk is super easy! When I tell my clients and friends that I make my own almond milk and have been doing so for over a year, they stop in their tracks. What kind of granola-eating-sandal-wearing-hippy are you they are probably thinking. When I explain to them the process of making almond milk, they stop again. They realize it’s so simple they have to try it too. And they do. And they love it. Making your own almond milk is as easy as 1-2-3. 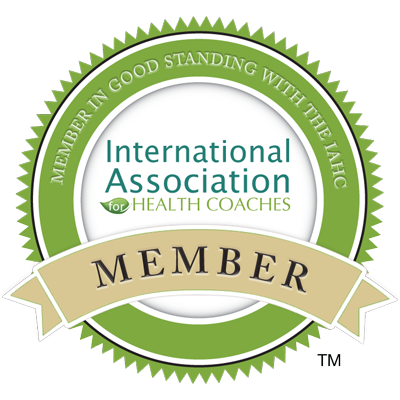 It’s wonderful for people who are avoiding dairy in their diet, or people who want to try a dairy alternative in their morning coffee or smoothies. Plus when you make your own almond milk, you know exactly what is going into it: almonds and water. There is no waste from Tetrapack boxes, no hidden artificial ingredients and I promise it tastes so much creamier and better! Try it yourself. There is no turning back. 1. Cover raw almonds in water and soak overnight in a bowl. 2. The next morning, strain and rinse almonds. 3. In a blender, pulse and blend almonds with 3-4 cups filtered water for about 2 minutes until really blended. 4. 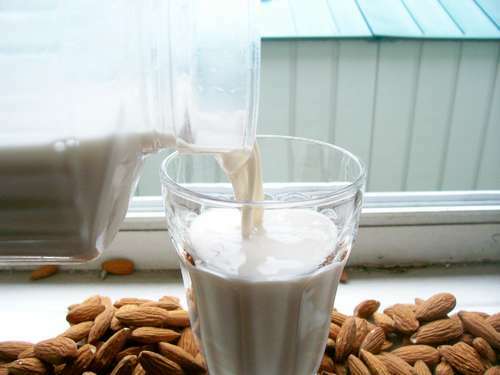 Strain almond mixture through a cheese or nut milk bag and into a clean jug. 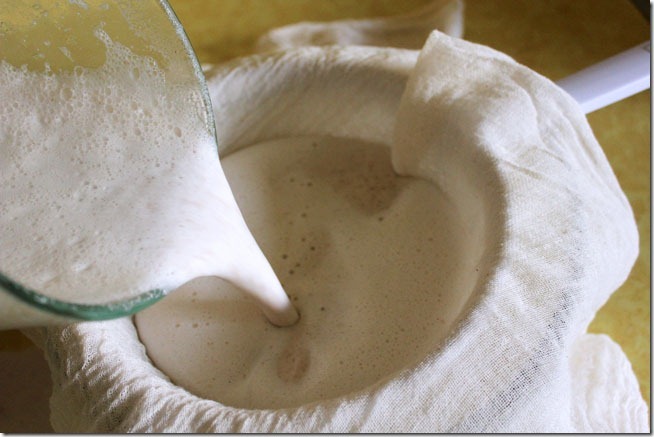 Really squeeze out the last part of the almond mixture to make a creamy milk. By the way, you can use the leftover almond meal in muffins, pancakes or breads and even as a facial scrub! 5. Enjoy the almond milk in your morning smoothies, drinks and on granola or by the glass. HI Anneka, This is great. I love almond milk and drink it almost every morning with my oatmeal. I’m totally going to do this recipe. For how long can I keep it on my fridge though? Hi Adriana! Thanks for your comment. This keeps for 2-3 days in the fridge but I often keep mine for 4 days and it’s still good. Great for morning smoothies, oatmeal and chia pudding too. Wonderful website. A lot of useful informatyion here. I’m sernding it to some buddies ans also sharing in delicious.